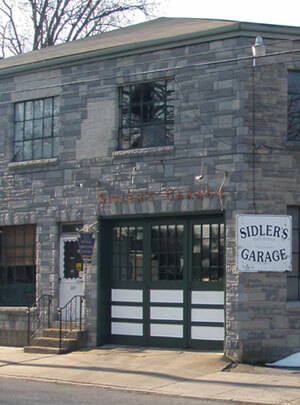 Welcome to Sidler’s Garage, located in beautiful Lancaster County, PA! Sidler’s Garage has been providing auto repair services since 1940, specializing in front alignment work. At Sidler’s Garage, your satisfaction is of utmost importance. As a family owned business, for over 40 years, quality and competence are our first priorities. Whether you need an oil change or tune-up, or something more significant like fixing an alignment problem or engine issue, the goal is to get the job done quickly and correctly. Not only do we provide auto repair services, but we also provide preventative care maintenance for your new or used vehicle. The best way to ensure the longevity of your vehicle’s life and to avoid some unnecessary auto repair services is to make sure you keep up with a regular maintenance plan. Your car will be well taken care of at Sidler’s Garage. Sidler’s Garage is located close to Lancaster General Hospital, just off of N. Lime Street in Lancaster, PA. We are open Monday through Friday from 8 a.m. to 5 p.m. each day. Please call ahead for an appointment: 717-397-5230. All contents © and prior, All rights reserved.